One of my jobs is a virtual assistant. He would like me to assist him with small shopping tasks and asked if he should create new accounts on certain websites, then give me the user name/password, or if giving me a credit card with a small balance would be better. I've never been asked this before, so I have no idea. Does anyone have suggestions on which would be the best way to go? You already know enough about shopping assistance to know that this is an area plagued by scammers. You already know that you can't spend your own money unless the client has already sent you the money via Upwork. You already know that Upwork charges its fees on expense reimbursements. So if a client wants you to buy something that costs $100, he would have to send you more than $100, because Upwork will take a fee (20% until you have earned $500 from that client). So this means that sending money through Upwork to reimburse you for expenses is inherently inefficient. The alternative, as you suggest, is for the client to provide you with a company credit card in your name that you can use to make purchases. So if the client doesn't do one of these things, then it's a no-go. 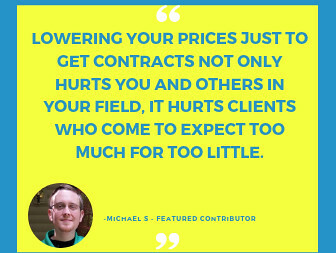 These are the only ways that a client can have you do direct purchasing yourself, without either ripping you off or violating Upwork ToS. I think you misunderstood, or maybe I didn't explain properly. He has zero interest in me paying for any of his purchases. He talked about creating new accounts on those sites, and supplying those accounts with HIS credit card information. Or giving me a credit card with a low credit limit, as I wouldn't ever be making huge purchases. He asked me to look into this, and see what the best way to handle it is. I wasn't sure if there was anything on Upwork regarding this, as far as things that aren't allowed. Thank you for explaining further. Please forgive our suspicions, because there are scammers in this arena. That doesn't mean your client is a scammer. If he is going to let you use his account or credit card to make purchases, then I see no problem with the arrangement. This would be the same as a company credit card or company expense account. The important thing is that you will not be working for free. And that the money the client pays you is paid through Upwork. 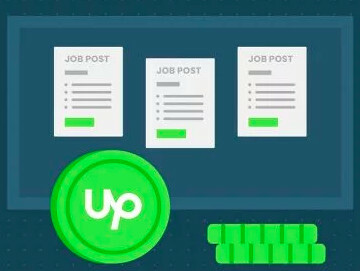 So the client will pay you for your work via Upwork. But you will purchase items using his card or an accounts he sets up. This would not violate any Upwork rules. 1. Client has peace of mind that you cannot mis-spend a lot of money. 2. The question 'Who authorised purchase?' is answered without ambiguity. This leaves no scope of blamimg each other. 4. Client will not have a scope to say you used his card without permission. As ADD ON card would be in your name, you obviously do have permission to use it(for offical uses). This protects you better. 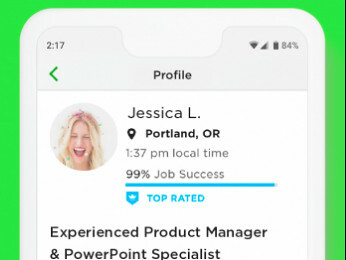 This is how I would personally go about it, but as Preston has pointed both methods are valid as far as upwork is concerned. Edit: Looks like I missed time stamps and replied to an old thread.